- If you have FFSJ-standard installed, you can right click a file and click “Split” from Shell context menu. 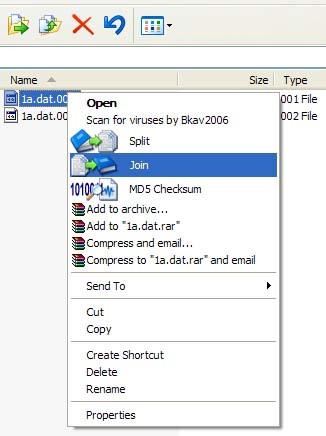 - If you have FFSJ-standard installed, you can right click a split part and click “Join” from Shell context menu. 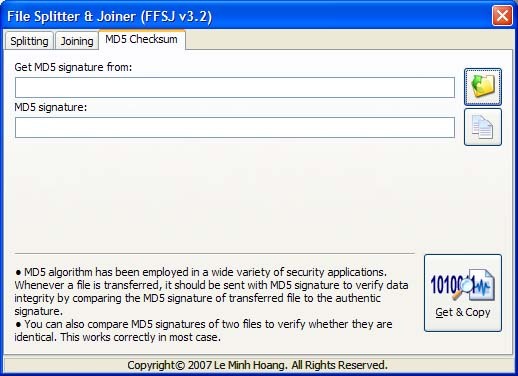 - If you have FFSJ-standard installed, you can right click a file and click “MD5 Checksum” from Shell context menu.